Regular Rate $1605 . Today Only $299! The resort is shaped roughly as a "W", which makes for three very distinct ambiances within the same property: a) Adult Section: no music, no children. The perfect place to hide away and relax. b) Activities Pool: aquaerobics, water polo, water volleyball, trivia, bingo. Swim up bar. c) Family Pool: the place to get together with the family and enjoy water and sun fun. Just love this place! I fall in love with it more and more every single time!! They really make sure that your stay is nothing but perfect. The service is wonderful, they cater to your needs and wants. Food is great, drinks are perfect - not watered down, resort is perfect size for me and clean, staff is so friendly, activities are so much fun!! Mainly because of the entertainment team!! Rocio is just fabulous!!! Born to do her job!! Makes every day so much fun I don't want 5 o'clock to come!! From water aerobics to pool volleyball to bingo to dance lessons or cooking lessons!!! Everything is done with so much energy and charisma! She is perfection that one! Will be back soon, like always!! All inclusive room with king or two double bed and has wireless internet, pullout sofa, color TV with remote control, telephone with dataport voicemail, typical furniture, iron and ironing board; includes daily housekeeping, weekly housekeeping, drycleaning pickup/laundry (fee), 24 hours room service, 24 hours laundry and valet service. Nice space, facing the sea. 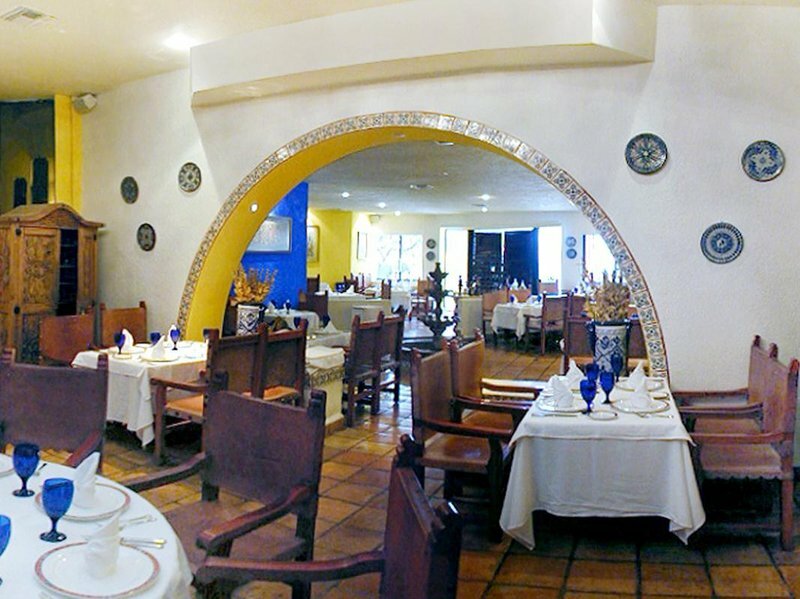 Breakfast with 5 options the minute Baguettes, lunch and dinner with seafood, specialties of the Mexican Caribbean and traditional dishes. In Frutas & Flores, guests will be able to enjoy one of delicious theme buffets for breakfast and dinner..
You wont even have to get out of the pool to savour the delectable coctels created in Bar la Ballena. This swim-up hangout in the activities pool is a resort favourite offering a selection of colourful cocktails as well as premium domestic and international drinks. The bartenders get lots of requests for tropical treats like the Pia Colada, the Cuba Libre and the Margarita.. This was a wonderful experience. The food was delicious. The pool is great, the views are great! "We had a great time and our whole trip was booked through BookVIP.com and everything was very easy and went as planned and we didnt have any issues. We loved the resort, great food, great hotel and very nice people everyone wants to help you"
We have had such a blast! Service was AWESOME, food was great, just so relaxing, so many awesome amenities, just had a great time and owe it all to BookVIP.com - made it easy, great to deal with and just one of our favorite vacations ever had! "This one of the most beautiful views I have ever experienced and BookVIP.com set this whole thing up from very beginning to very end and just had great time here"
From the moment we arrived to the time we left the hotel staff treated us like kings and queens. I had no problems with the food or drink. There were 7 of us with 3 rooms. All rooms were always clean and well stocked. Would recommend to anyone. "We had an Excellent Time!!" Really enjoyed our stay at this resort. Both the food and the service were outstanding. Our room was an unexpected surprise (better than I expected) and the 3 pool areas were large, open and very garden like. The staff seemed to be very prideful with their hotel. We got to know the names of the waiters and the poolside bar tender on a first name basis. If you like the occasional caesar, don't be afraid to ask as they are as good as they make them in Canada. 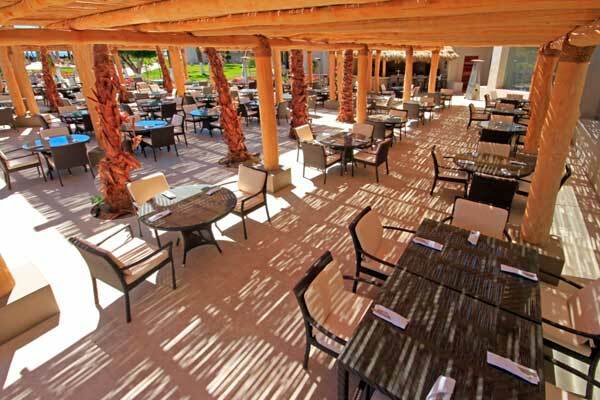 The hotel is a 1km walk into San Jose Del Cabo with it's shops, restaurants and art galleries. It's about 2 km walk (east along the beach) to the port and well worth the walk! All of the tours are available through the travel people at the front desk. "Hotel on Beach and Private"
Enjoyed our stay on a beautiful white sand beach next to other major resorts but hardly anyone on the beach. Cannot swim with rip tide waters but beautiful sunsets and walks. All inclusive hotel made it so easy to "not" have to spend money on great meals and drinks provided at no cost. Great pool to relax/drink. Loved the hotel here in San Jose instead of the ones in Cabos. Staff is first class and extra special. Peaceful art district in downtown San Jose six blocks away. Enjoyed San Jose over Cabos. Will come back soon. Just got back from an 8 day stay at the Holiday Inn. They have many new things at this hotel. New play area for kids. New kids to do area. A new litle cart thatcomes around daily with fresh fruit and ice cream. Everyone is still great from the new manager Patricia who is doing a great job to make sure your stay in fun. Raul at front desk is very helpful, Alma at the outside bar that won award for employee of first part of year to Cruz and Luis. Food has gotten so much better and service great. Weather was wonderful and the Kite Fiesta they had was fun. Already planning our return! "Awesome safe place to stay"
Our trip was excellent from the moment we walked in the front door of the Holiday Inn until we walked our those doors to come home! This is the second time we have stayed at the Holiday Inn and probably will not stay anywhere else in Cabo. Check in was fast, professional and informative. The room we had was a full oceanview with a balcony and was always spotlessly clean. 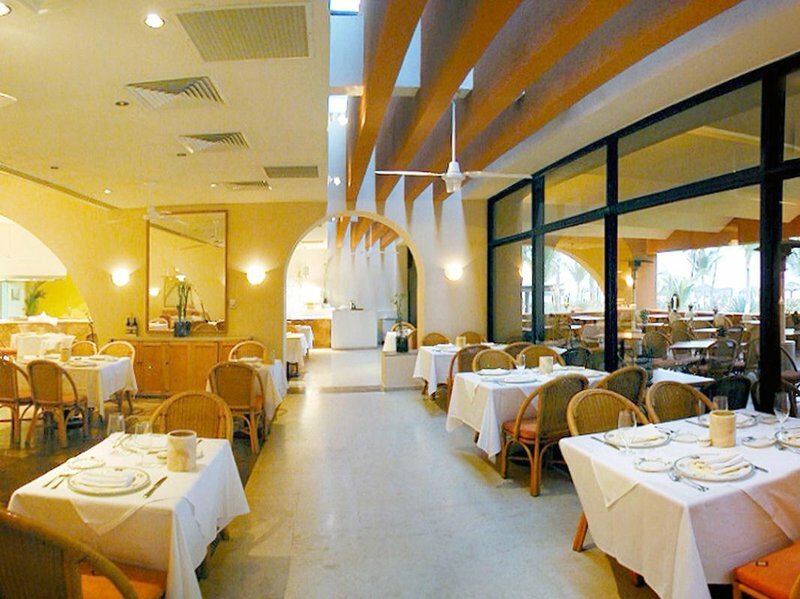 The grounds are kept immaculately and the staff are always friendly and helpful. The food was very good and you can always find something you like to eat. Thumbs up to Gonsalo who works in the Napa restaurant for being such an attentive friendly waiter! The shows at night were also fantastic and had a variety of themes. We did a lot of fishing from the beach and enjoy watching the sunrise and sunset daily. The estuary is right beside the Holiday Inn which is a delight in itself. Perfect location, perfect holiday! Thanks again Holiday Inn and we will see you again in the near future! We spent 2 weeks at the resort. this was our 2nd time. and would go again. Everyone, from checking in to checking out our time there was amazing. The agents for Westjet, Terramar, Luis and Roberto were very helpful. We were upgraded to an ocean front very nice indeed. We really appreciated the staff, many from our previous visit remembered us. The breakfast staff was awesome, Gonzalo, Oscar, Salvador, Marco, Angelica (who loved all the babies).and many more. The dinner staff was also amazing. Mario,and so many more. The bartenders Cruz, Liney, Alma, Luis, we so enjoyed visiting with all of them again. The housekeepers did a wonderful job looking after us,They have made many improvements since our last visit and it made for a wonderful time. Looking forward to our next visit there. Holiday Inn Los Cabos was awesome!! EVERYTHING was clean, from the bedsheets to the bathrooms. My best friend and I traveled 12/13-12/16 and while it wasn't the party scene we had hoped for the guests we met and the staff there made it fun! Gonzolo made our breakfast experience wonderful each morning but Carlos (the one up front by check-in) did everything in his power to make sure our stay was wonderful. We will be back because these guys did such an awesome job! Had a wonderful week's holiday Nov 25 to Dec 2. This isn't a "party" resort so the mood was mellow and quiet. Very much a Mexican feel. Got off to a rocky start upon arrival but the rest of the week went very well. Staff friendly and very accommodating. Food was excellent and dietary requests were met. The town of San Jose was a 20 minute walk and we enjoyed the Christmas preparations, organic market, shops and restaurants. The bird sanctuary next to the resort was a pleasant surprise and made for an optional way to walk to town. The release of baby turtles into the ocean each afternoon at sunset was a bonus! We did not participate in many of the activities at the resort but did enjoy the evening entertainment and the a la carte restaurants. The purpose of the trip was to relax and escape the snow for a week and the resort met the expectations. The resort is at the end of hotel row so is more secluded. Vendors were on the beach but not aggressive and never ventured on to hotel property. We intend to return. I visited the Holiday Inn in San Jose Del Cabo a week ago. The property was absolutely beautiful. I went with my mother and six year-old daughter. We stayed in an ocean front lanai room. It was awesome to walk 10 feet beyond the room and jump into the sand! The rooms were very clean and well laid out. There was plenty of space for all 3 of us plus a suitcase full of toys. The kids pool was great. It was big enough for many kids to play at once with a couple of slides. It was laid out nicely so that parents could sit and lounge while the kids played safely. It was connected to a larger pool which was really nice for a quick swim to the pool bar. There were two other pools as well- both were equally nice. The property was well manicured and maintained. The staff and management were awesome- very helpful and friendly. The resort manager, Raul, was extremely helpful in working with us on room accommodations. A fantastic Resort with amazing grounds. Friendly and helpful staff. Our room with partial ocean-view was clean comfortable and a good size. The maid service was astonishing. The most helpful and accommodating waiters were Felipe and Marco. However All staff members were great. The Pool areas were all maintained impeccably. The Beach was endless--good for long walks. Swimming in the sea is not ideal because of undertow and red flag warnings . However we did some Bodysurfing. Excellent. The food selection at all restaurants was O.K. Breakfasts were the best. Good selection, excellent coffee .Desserts were awesome. Buffets could use some upgrades. Would not hesitate to revisit. "Holiday Inn "Your on Track""
This is second visit to the Holiday Inn Resort Los Cabos in four months. The Resort has seen many improvements in that time. The food quality is a greater variety, the Service is Fabulous, the Waiters, Guest relations, can not do enough for you. Rooms are impeccably clean. Pool areas have seen the Chaise Lounge chairs with new fabric coverings. This stay, as before, was Great. Four pools clean. Adult only pool, quiet for those who like to read and R and R. "Alma" at the Adult only pool bar has been there for 30 odd years, and her personality adds to this location. The nightly themes have great entertainers, casino nights, mexican nights, latino nights, International Nights. Highly recommended not only for a R and R vacation, but to families as well. Close proximity to San Jose Town, Lagoon walk into town safe and enjoyable. Town has so much to offer. Art Walk Nights on Thursday evenings...a definate to see and participate. The Mexican, and Spanish Influence in these art shops is amazing, each one carries a different theme or flavor to the area. Safe walking back to resort in evening when all is said and done. 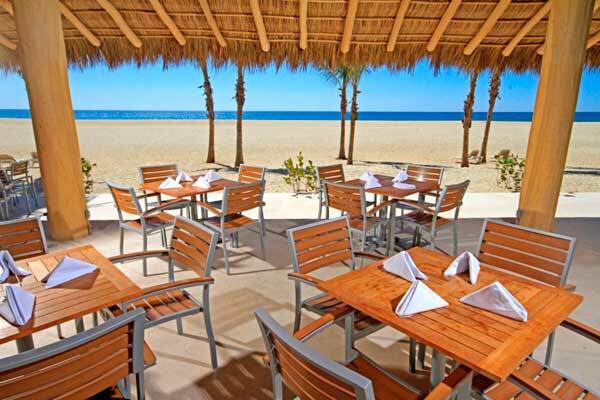 If you are looking for a quieter location with great ammenities, this is the Place in Cabo, San Jose area you want to be! I read many reviews prior to arrival at the Holiday Inn and I have to say I really don't have any complaints about my stay. This is a wonderful facility with great people at an amazing price. The food was good and a good variety. I think we were probably there during a slow week but I felt there were still many food options. Loved the night on the beach with the buffet. Make sure to try the taco stand, wonderful! We just arrived home from a 10 day vacation. We were impressed with how friendly the staff was. The food was very good as there was something for everyone. We spent a lot of time at the pool playing volleyball, bingo,music trivia, etc. with Rocio and Carlos who kept it fun and entertaining. Cruz and Luis were also appreciated for their bar tending skills. TIP order a few beer from room service to keep in the fridge. We just returned from a week at the Holiday Inn, during the last week of November, and had a very nice time. We were looking for a quiet relaxing holiday and that was exactly what we got. Because it was still the off season there were not a lot of guests, and we never had any difficulty getting a lounger by the pool. We prefer the quiet pool where you can go for a cooling dip, and get a drink without the music and pool games. This pool is around the corner from the stage area, and is also a quick trip down the hallway to the lobby bathrooms. We also ate well. Although a bit repetitive, the food was always good. The fine dining restaurants were open several times during our visit, allowing us to sample their menu items, and we were never disappointed. This hotel is one of the older ones, but it is still comfortable and pleasant. The beds are hard, but I managed to get enough sleep. The rooms are clean and well stocked. The staff are pleasant and helpful. There is a children's pool and play area if you are a family traveller. I am recommending this hotel for the budget all-inclusive traveller. "Peaceful and Relaxing! And Baby Sea Turtles!" November is a great time to visit Smiles Holiday Inn, the sea turtle safe nests are right beside the resort. Volunteers organize the release of the baby turtles with opportunity for guests to learn and observe! No problems with room/food/pool fun! Staff all go out of their way to ensure you have everything you need! Only thing missing is a couple cans of cerveca in the room bar fridge. No big deal, just go the convenient bar locations! Town of San Jose in walking distance. Estuary next door great for walking and observing all the wild life and fresh water lake! Loved it all! My wife and I decided to have a second Honeymoon. We couldn't have picked a better place. The scenery, the long beaches and the pools. We had amazings breakfasts and dinners. The staff are excellent, friendly and helpful. Our room was very nice, king size bed and ocean view. We plan to go back we had such a great time. Depending on the time of year there isn't much of a night life in the resort. But outside the resort there is so much to do and see. Special thanks to Cruz an amazing bartender and of coarse Rocio activities cordinator. For making it fun during the day. Also to the entire staff at Th e Holiday Inn thank you for a great trip. What a fun time we just had at The Holiday Inn at Cabo! Perfect family vacation for relaxation and fun! Three pools, endless food and drinks and water slides for the kids. We spent most of our time at the activity pool...Music playing, swim up bar, water volleyball, bingo and lots more! Play the games and win bottles of tequila!! Rosio, the activity director, was amazing and helped makes our trip very memorable!! I highly recommend this for a casual, relaxed, all inclusive resort!! Seamed like a bit of a couples resort, however me and my friends made the best of it and had a blast, the staff is awesome especially Rocio her personality is perfect for her job and did a great job at getting people to join activities and made the place a lot of fun, she was our favorite part of the trip, her and Carlos did an amazing job with the pool entertainment, the best bartenders ever Cruz and Edmund (after the first night I didn't even have to order they just knew what I wanted to drink), Oscar was also very helpful and nice. Would be nice if the bars stayed open longer than 12pm but there is lots of places to party in Cabo, so much fun. I really enjoyed my time there and would defiantly go back. This was my third trip to Cabo, and have stayed at the Holiday Inn (Presidente) each time. My sole reason for going to Cabo is the fishing, and the staff, unlike at many of the other resorts, respect this and go out of their way to accomadate me. Wake up calls are punctual, cabs are always at the ready, even at 5am, and best of all, the hotel has no qualms about cooking the day,s catch for me. Our fresh tuna were cooked and artfully presented every time. The meals are good and varied with something for everyone. Bar sevice is attentive and they remember you from day to day. Alma, at the adult pool bar is a real treat to talk to. My review would not be complete without a special mention of Raul, the Manager. This gent has gone out of his way many times to ensure we have a good time. This latest trip, Sunwing managed to lose all my luggage for three days, and I am certain that without his intervention, I would still be without it. I weill be returning to Cabo in a few months and would not even consider any other resort. I have stayed at various ones in Cuba, Dominican and PV, but The Holiday Inn is my go-to spot from now on. "Great value in San Jose del Cabo"
At first glance this resort may get overlooked and I will admit that it is a bit tired. The food is not spectacular and the booze is certainly not top shelf. BUT....my wife and I were pleasantly surprised with this resort and throughout the week we stayed, we liked it a bit more everyday. We were fortunate to come when it was not too busy. I am so tired of resorts where you have to get to the pool by 7am to grab a chair. After all its a vacation, and I want to sleep in a bit. No problem here...we never came out any earlier than 11am and had plenty of spots to choose from. For the most part the other guests were great people and very friendly. My wife and I met so many wonderful people throughout the week - some we will look forward to keeping in touch. Lets be perfectly honest here. This is not a 5 star resort and to be fair, it does not claim to be. And, it does not charge 5 star prices either. It is a budget-friendly resort that seems to appeal to a lot of different types including families with young kids, baby boomers and empty-nesters. Its pretty quiet and San Jose del Cabo doesn't have much of a night life. College kids might hate it and would like Cabo better. The absolute best thing about this resort is the staff. They are super friendly and have a "can do" attitude and will go out of their way to make the guest's stay more enjoyable. The work so hard and even though tips are very appreciated, at no time did any of them offer lesser service to non-tippers. A shout out to Luiz at the Delphin bar. Great personality and he kept the drinks coming with a smile. We had a great time and will definitely consider coming back! We chose this Hojo while stoping for a night in Portland on our way to Acadia National Park in Bar Harbor, ME. We were glad we chose this hotel. Close to Old Port and the service was great. Comfortable rooms and a comfortable mattress. Stopped by seasons for a late snack & beverages. Would choose Hojo again. Regular Rate $ 1605 . Today Only $299!